The modern paper mill uses large amounts of energy, water, and wood pulp in an efficient and complex series of processes, and control technology to produce a sheet of paper that can be used in diverse ways. Modern paper machines can be 500 feet (150 m) in length, produce a sheet 400 inches (10 m) wide, and operate at speeds of more than 60 miles per hour (97 km/h). The two main suppliers of paper machines are Metso and Voith. 1 2 Burns 1996 , pp. 414f. 1 2 3 Burns 1996 , pp. 417f. ↑ Thomas F. Glick (2014). 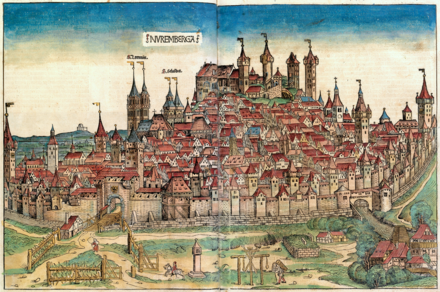 Medieval Science, Technology, and Medicine: An Encyclopedia. Routledge. p. 385. ↑ History of the lumber industry of America . Retrieved April 5, 2012. ↑ "About Berlin: Berlin History". Archived from the original on November 9, 2012. Retrieved April 5, 2012. ↑ "Monday, July 9, 1934". Honolulu Star-Bulletin. 1934. Retrieved 21 August 2017. ↑ "Paper Mill Closures of America" . Retrieved April 5, 2012. ↑ "Urban Decay" . Retrieved April 5, 2012. ↑ "Metso supplied SC paper machine line sets a new world speed record at Stora Enso Kvarnsveden" . Retrieved 2008-04-12. 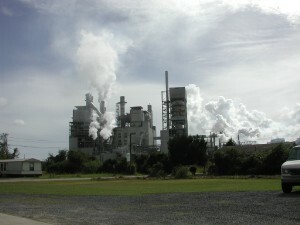 Wikimedia Commons has media related to Paper mill .